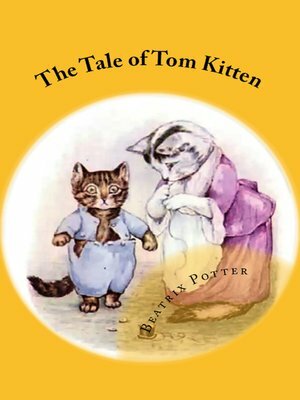 Author of "The Tale of Peter Rabbit", &c.
Once upon a time there were three little kittens, and their names were Mittens, Tom Kitten, and Moppet. They had dear little fur coats of their own; and they tum-bled about the doorstep and played in the dust. But one day their mother—Mrs. Tabitha Twitchit—expected friends to tea; so she fetched the kittens indoors, to wash and dress them, before the fine company arrived. First she scrubbed their faces (this one is Moppet). Then she brushed their fur, (this one is Mittens).